As an eagerly-awaited update to the highly-successful, TMT-based bx_console, bx_console N now arrives hot on the heels of bx_console G and bx_console E, Brainworx’s two newest console plugins. Packed with new features, bx_console N takes the concept several stages further, featuring a new THD (Total Harmonic Distortion) knob that adds saturation to the signal, simulating levels of pleasing distortion feasibly found when overdriving a real-world analog console in addition to bringing definition to sounds. Still better, the RANDOM CHANNEL function randomly assigns a TMT channel to either one instance or all instances of bx_console N in a session, so users can easily introduce analog nonlinearities from channel variation into their mix — just like when working with a real-world analog console! But building upon the trailblazing groundwork laid by bx_console is only part of the latest and greatest Brainworx breakthrough; by retaining the same superb feature set as the original plugin, plus points in its favour form an even lengthier list, starting with accurately capturing that iconic sound of Brainworx Founder/CEO Dirk Ulrich’s personal Neve® VXS™ large-format analog mixing console. Creatively, Brainworx’s patent-pending TMT takes into account the real-world variation between hardware components in a channel strip. Such variations, when combined across a mixing console, are a key component behind the warmth, depth, and width associated with analog gear. 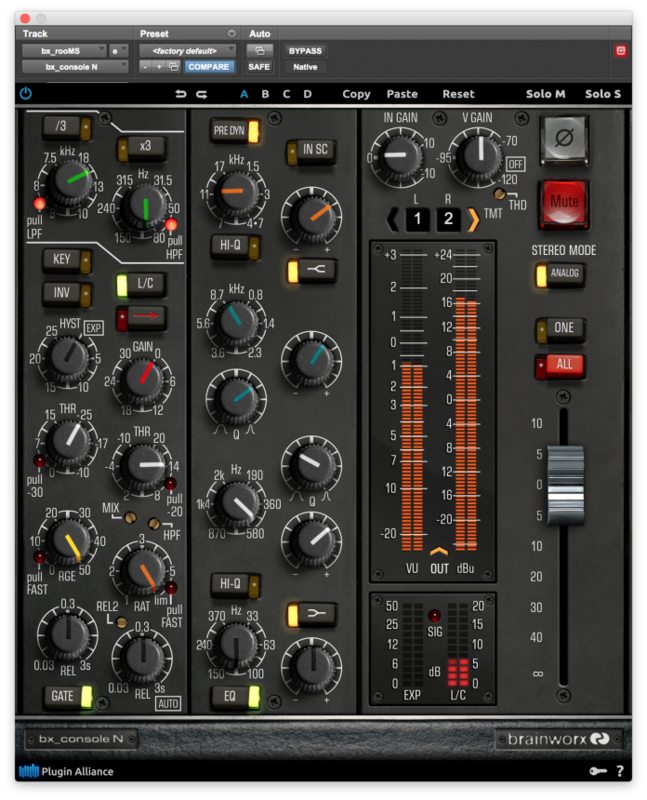 Get this, though: TMT measures a ‘golden unit’ channel from the hardware — in this case, a rare 72-channel Neve® VXS™ analog console, using the component values within and their specified tolerances to create an algorithm that simulates the same variation found in a brand-new console rolling off the factory floor. Furthermore, in bx_console N, that TMT gives rise to 72 unique channels reproducing the analog characteristics of the original console. Combined with an extremely low CPU (Central Processing Unit) load, this effectively enables users to create a virtual 72-channel console in their DAW (Digital Audio Workstation). Wisely, the TMT section also allows selection between ANALOG and DIGITAL modes on stereo instances — ANALOG mode uses two, stepped channels on L/R, lending a pleasingly imperfect stereo image that is wider and warmer, while DIGITAL clones the channel on L/R, lending a ‘digitally perfect’ stereo image (though TMT channel characteristics still individually apply). 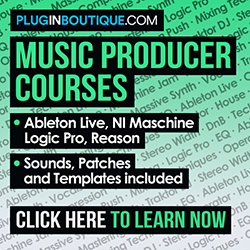 Additional features of note in the plugin include: punchy L/C (limiter/compressor) with adjustable REL2 (second release) time to prevent pumping, sidechain HPF (high pass filter), and MIX knob; GATE/EXP (expander) with external sidechaining; forgiving EQ filters that can be placed before, after, or within the dynamics sidechain; mid/side monitoring; and a virtual noise floor that simulates inherent noise in original hardware (that, of course, can be switched off). Note that the proprietary Plugin Alliance Installation Manager means users can select, download, and install only the products and formats needed for their system.